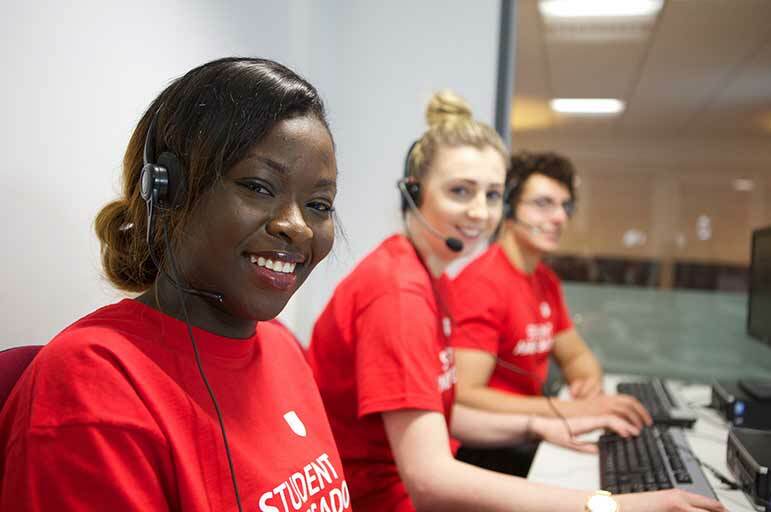 Over the next few months, our Student Ambassadors will be calling offer holders like you, to answer any questions you might have and to invite you to our offer holder events. Find out more about our telephone campaign. Our calls are made by a team of Student Ambassadors, who range from first-year students, right through to postgraduate level students. In most cases, you'll be matched with an Ambassador who will be studying a subject similar to the one for which you hold an offer. They'll be studying at your campus of interest, so they're best placed to recommend which accommodation is suitable for you, as well as telling you more about life on campus. You'll find our Student Ambassadors are really friendly and easy to talk to; we choose students who are knowledgeable about NTU, so you can make the most of your call. Every year our offer holders ask us a range of questions during the telephone campaign, from what accommodation we'd recommend to what student life is like in Nottingham. Our Student Ambassadors will give you their honest answer based on their own experiences as an NTU student, so you can be sure you're getting a real opinion! We know that it can be tricky to think of some questions you'd like to ask on the spot, so we've put together some suggestions to help you out. If you'd like to ask us any questions about your application, feel free. If we can't answer your question, your query will be passed on to the Admissions Team or a relevant contact in our academic Schools, who will be in touch. Ask us about the location of our residences, what the local area is like and where we'd recommend. Our Ambassadors will all have lived in different residences, so you may find yourself considering a residence that you hadn't before! Find out more about what living in Halls is like; we'll give you our top tips, warts and all! Find out what it's like to be a student in Nottingham - our Student Ambassadors can give you their personal highlights of our city. Find out what our nightlife is like - from the famous Rock City to quirky bars and pubs. Ask our Ambassadors what made them choose Nottingham over any other city - it might help you make your decision! Find out about placement and work experience opportunities - how could our Employability Team help you? Want to know whether you could balance a part time job with your course? If you've got specific questions, such as wanting to change your course choice, or what happens if you don't make your conditional grades, please ask us. If our Student Ambassador doesn't know the answer or can't complete your request, a member of our Admissions Team will happily get in touch. Maybe you want to find out what it's like to leave home for the first time? What's the transition like from college to university? How much contact time can you expect to have (lectures, seminars, group work etc.)? Want to know how to manage your finances? Perhaps you need some advice about applying for your loan? What happens if you don't receive a call?